The first quarter of 2018 is almost over and gamers have been treated to slew of AAA games released for the year. Among these games is a title that we’ll be reviewing today, Ni no Kuni II: Revenant Kingdom. Honestly, I had no idea about this game until we were about to review it. 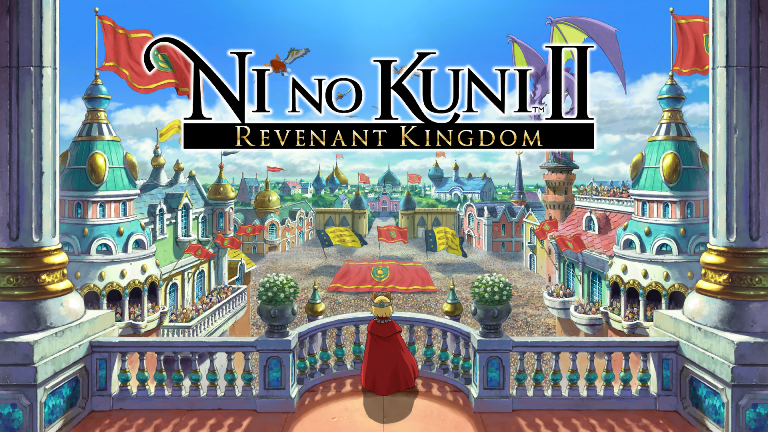 Little did I know that Ni No Kuni is a popular franchise and among the bestselling titles for the Playstation 3, which made me curious and excited to play this game even more. 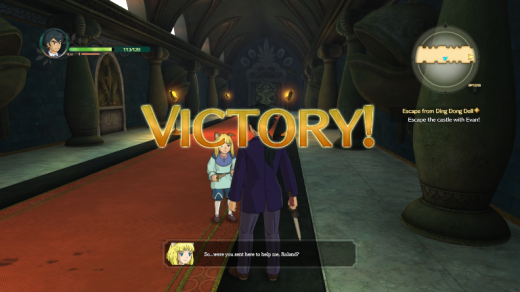 Ni No Kuni II is a tale about two leaders. 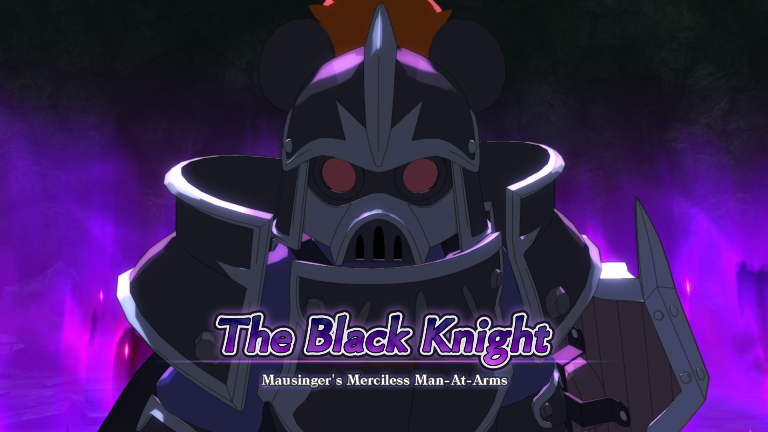 The main protagonist of the game is King Evan Pettiwhisker Tildrum who was ousted by coup d’etat in his kingdom of Ding Dong Dell. Our other hero, Roland, a president of a country in world like us, who fell victim to a missile attack. However, instead of meeting his demise, Roland woke up in his younger self in the kingdom of Ding Dong Dell. Together Evan and Roland set on a journey to build a kingdom wherein the people would be happy ever more. 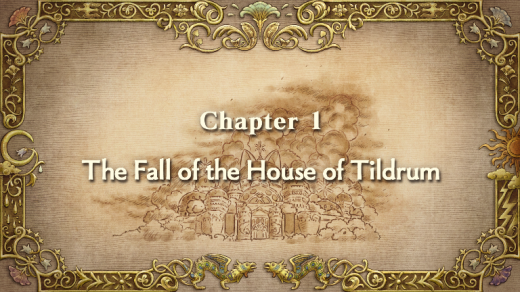 Interestingly, they would rename their new kingdom, the kingdom of Evermore. Along the way, our heroes would meet different characters such as the father-daughter tandem of sky pirates, Batu and Tani. These people that they’ll meet in their adventures will help Even in his goal of building his own kingdom. Ni No Kuni II is an action-role playing game for the most part. However, the game offers other gameplay mechanics, that would definitely get you hooked in the game. Ni No Kuni II plays like your typical arpg, wherein you fight your way through enemies and level your characters. 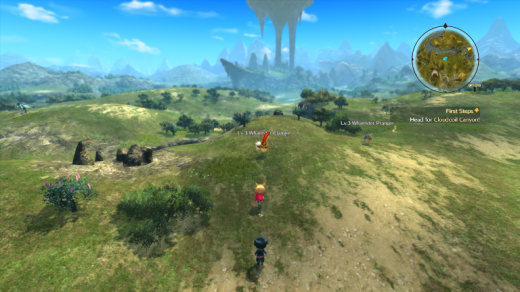 The battle system is not the usual turn-based system but more of an action/hack-and-slash game. You have three characters in your party; you take control of one character but can switch back and forth with anyone in the party. However, you are not able to issue commands to the other characters. You can either fight melee or range depending on your play style. Fighting alongside you are cute little sprite like creatures called Higgledies. 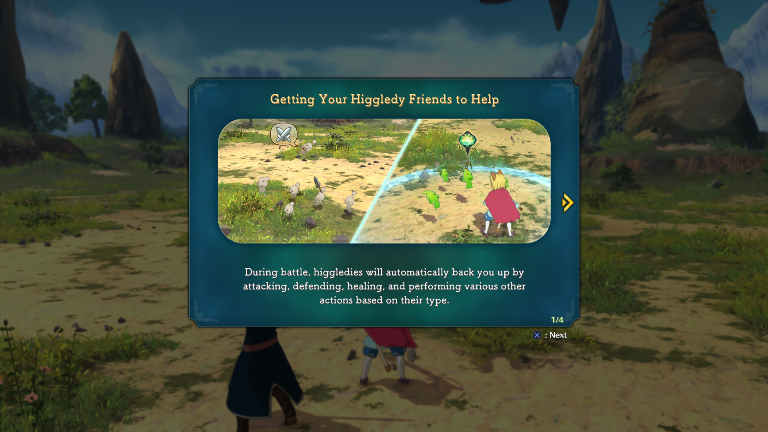 These Higgledies are like a support system that can attack enemies or give your party a buff. Battles are fought by approaching monster sprites/icons either inside an area or in the world map. It’s very helpful that you’ll get to see the enemies first instead of the usual random encounters. 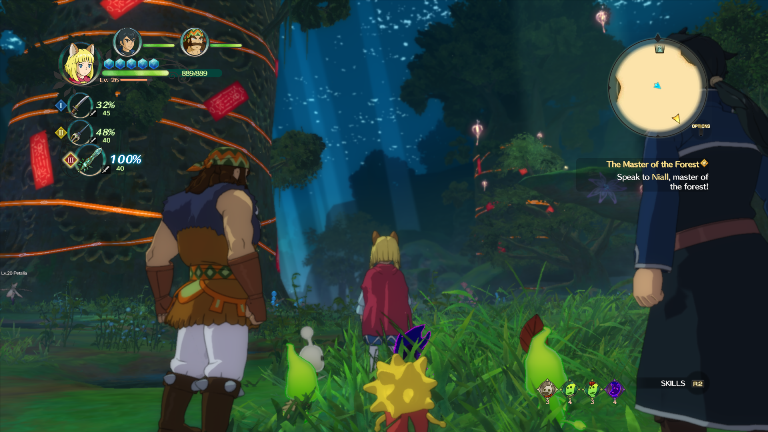 Ni No Kuni II is plays like the classic rpg wherein you need to grind it out to level up. 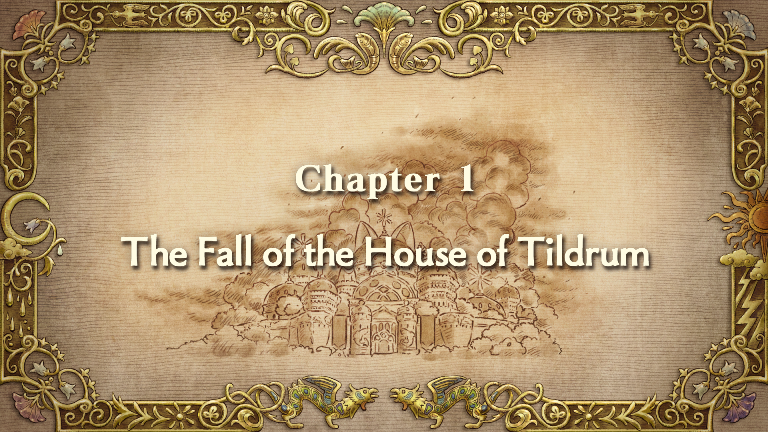 As I write this review, I’m currently at Chapter IV with an accumulated 10 hours of playing time. I would have to say that I’m a few levels ahead of the monsters in this area but it does not mean that they’re pushovers. I still encounter a few enemies who are at par or ahead by a level. The game still offers a challenge and doesn’t feel that my level is OP. 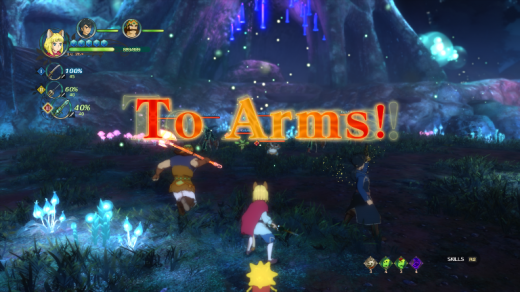 Ni No Kuni II aside from being an rpg also offers other gameplay modes. 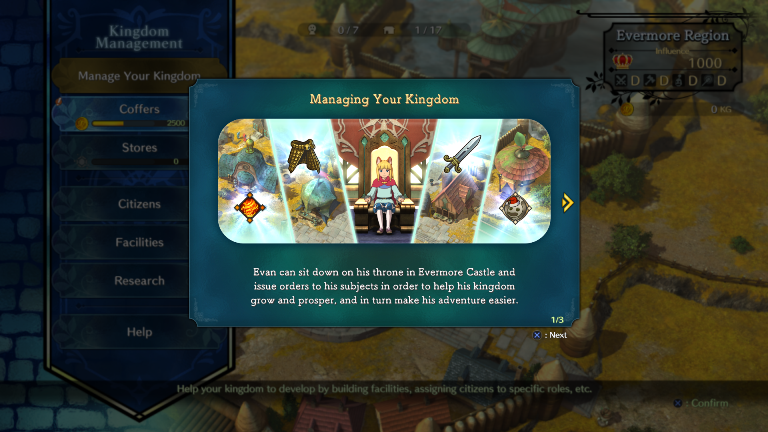 You manage your kingdom by a sim city like mini-game. To expand your kingdom, you need to build establishments like a store, a spell research center, and the likes. These buildings wouldn’t work on their own so you would need to assign citizens that you’ll meet as you progress through the game. 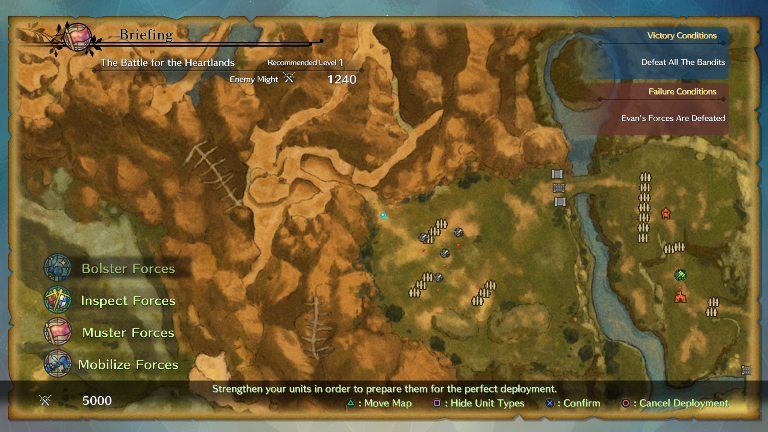 Another aspect of Ni No Kuni II is that it’s also a strategy game. 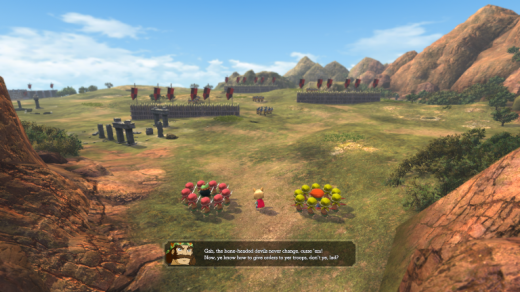 Once you have established your kingdom, the option for a siege-like mini game becomes available. In the world map, you’ll see banners and when you approach them, the battle begins. You need to deploy your army against your enemy and eliminate their forces to win the match. If this seem confusing, you need not worry as there are helpful tutorials for each gameplay mechanic. This is where the strength and appeal of this game comes. 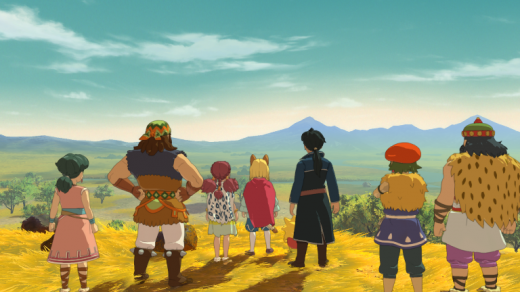 Ni No Kuni II is a visually beautiful game that seems to come right out of an anime. If I wasn’t playing the game, I would really think that it’s an animation instead of a video game. 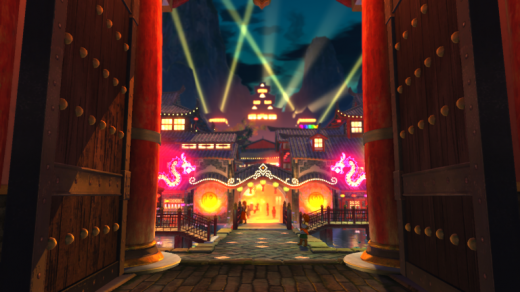 The game is made in full 3D but the bright colors, cellshaded characters, and lush visuals makes it look like a 2D animation. I’ve played it on the original PS4 but there is an HD option available for PS4 Pro users. Ni No Kuni has always been aesthetically beautiful . 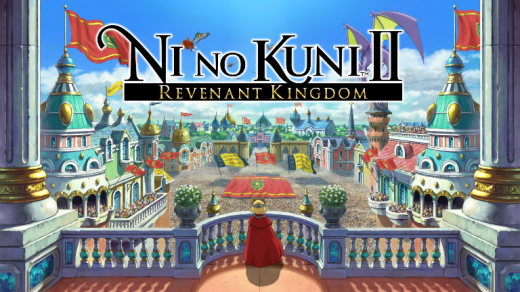 The first Ni No Kuni was even helped develop by Studio Ghibli (Spirited Away, Porco Rosso) so you’ll definitely see a strong anime influence to the game’s visuals. However, Studio Ghibli was no longer directly involved in the making of the sequel. 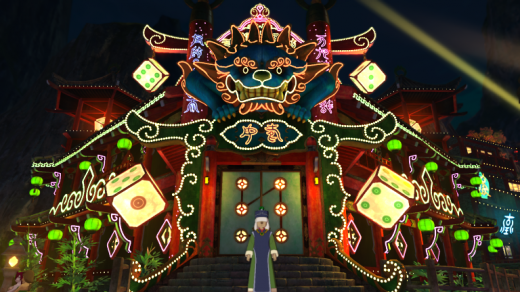 Online reports suggests that Studio Ghibli plans on producing their own games. Even without the backing of the Studio Ghibli name, Ni No Kuni II still looks and feels like that it was made by the studio. 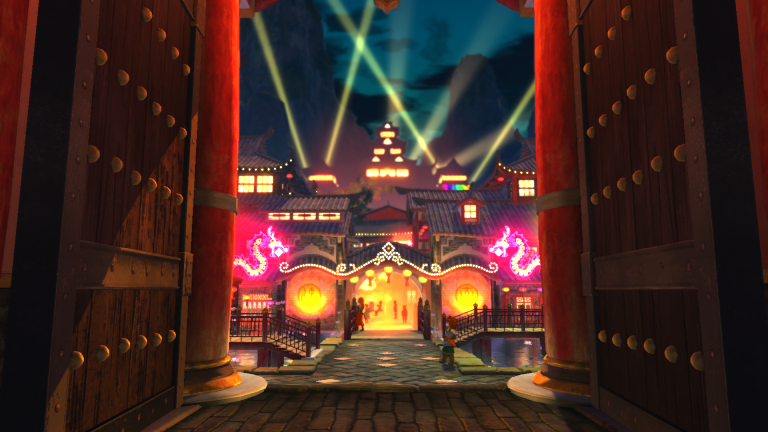 Let these screenshots help show how fascinating the game is. 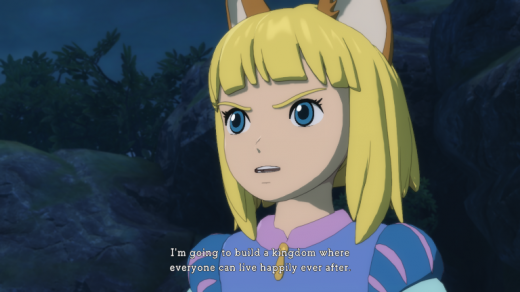 Ni No Kuni II doesn’t offer anything new or groundbreaking that would separate it from other games in the rpg genre. In fact, it actually utilized what worked for them in the previous gen and improved it to work with the current gen of consoles and PC. As they say, why fix when it ain’t broke, right? 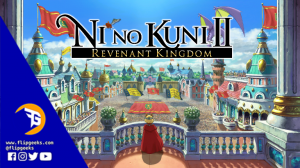 Ni No Kuni II: Revent Kingdom features a compelling story line matched with simple gameplay mechanics and jaw dropping visuals. If you’re a fan of the series, you’ll be delighted to jump back in the series. 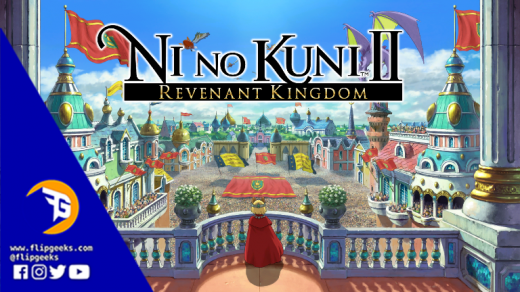 If you’re new to the rpg genre or to the game, Ni No Kuni II is a game worth investing your time in.